What emotions do you feel when you ponder this picture? I can almost feel the warm rain. Not that “it’s cold and I need to run inside” kind of rain, but that rain that feels good on your skin…warm…nice. I am actually jealous of these two buddies, just sitting around in wet clothes, enjoying their day to the fullest. It’s been a while since I just walked (or sat) in the rain. It’s been a while since I laid down in the cool grass and just “wasted” some time watching clouds drift by; or went for a long walk all by myself. Remember that feeling of not having to hurry somewhere, or meet anyone, or get back in time for something? Those were the times I remember being able to think, to really ponder the things swirling around in my mind. The closest I get to feeling those times now is when I am traveling. I have some time all to myself in the car. If I choose, I can turn on the radio and occupy my mind with talk or music. Another option is to roll down the windows and just harken back to the good ol’ days of cruising with my friends. The wind roaring through the windows acts like some sort of sedative by blocking my swirling thoughts, and actually allowing me to think. Seems like my mind is so full these days. There never seems to be any time to just sit in the rain and truly, deeply enjoy the silence. God lives there you know. In the silence; in the quiet places where we seldom walk. He waits for us to turn off the noise and just sit with Him….no agenda…no activity…no deadlines. The cool thing is – we can go there anytime we choose to. We can turn things off, and schedule time to enjoy those quiet times….if we want. Psalm 23 reminds us that our Good Shepherd leads us to “green pastures” and “still waters” if we will follow Him there. He even reminds us that He will “restore our soul” in those places. Couldn’t we all use a little soul-refreshment; a little still water in our life? 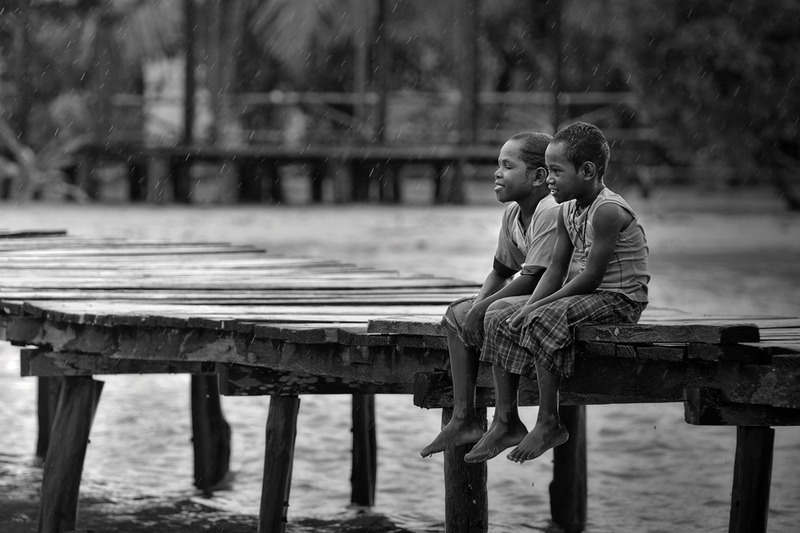 It is up to us to deliberately carve out time from our hectic life – to sit on the dock, in the rain and just relax. We can go there, and enjoy His presence, and feel the warm rain of His love – anytime we want.